LOS ANGELES, CA (February 27, 2019) – BOOM! 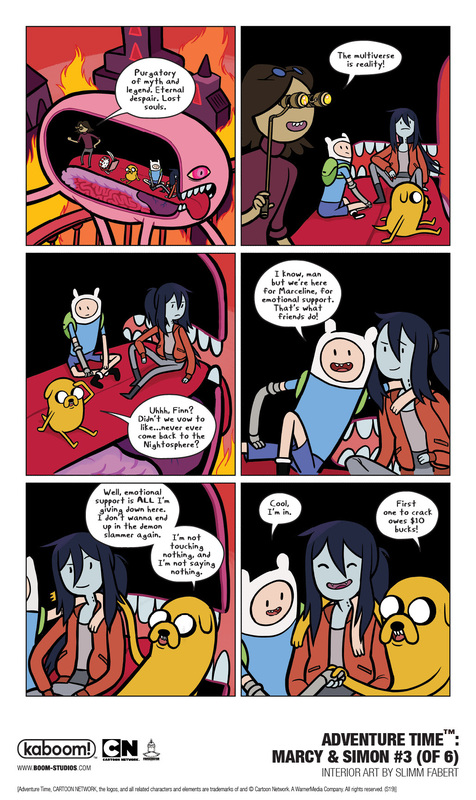 Studios and Cartoon Network today revealed a first look at ADVENTURE TIME™: MARCY & SIMON #3 (of 6). 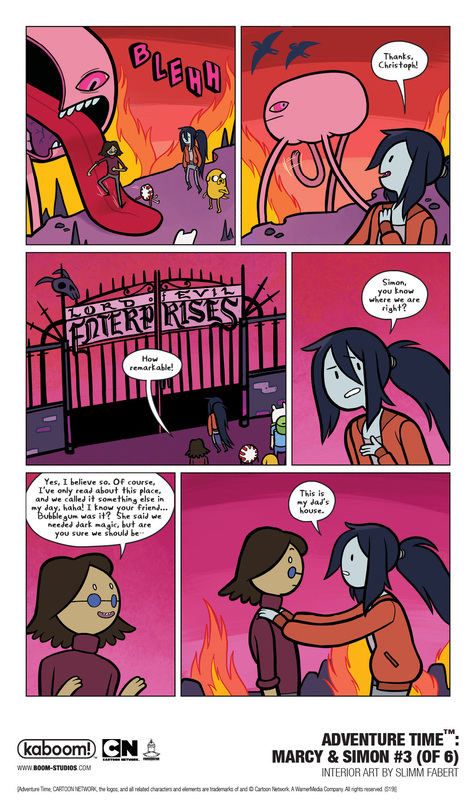 Writer Olivia Olson (voice of Marceline on Cartoon Network’s Adventure Time™) and artist Slimm Fabert (Adventure Time™ comic series) bring fans the exciting official comic book continuation of the Cartoon Network Emmy® Award-winning series by revealing what’s next for the once immortal Simon and the still immortal Vampire Queen Marceline in comic book form. 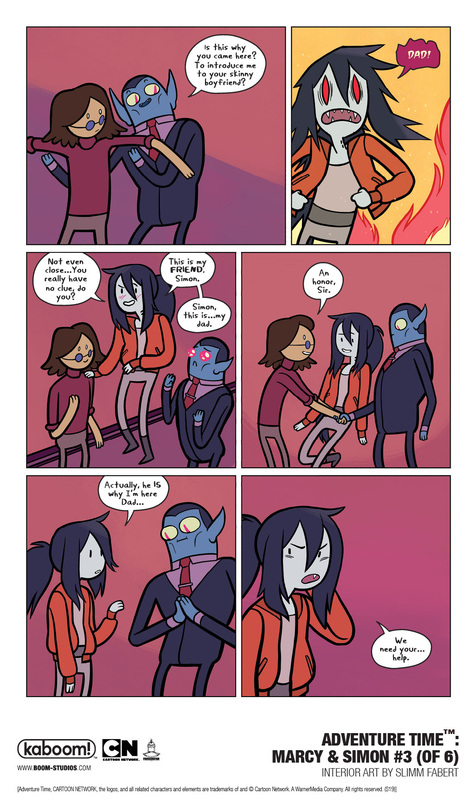 Marcy and Simon's friendship has endured over 900 years and through bouts of insanity and amnesia. 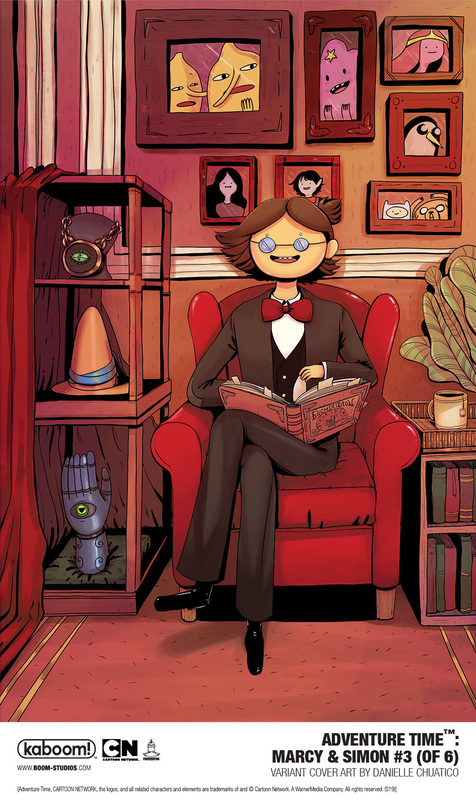 So when Simon’s memories of his life as the Ice King and his memories of Marceline, start slipping away, there’s nowhere left to turn except the source of darkest magic itself—Hunson Abadeer, Marceline’s dad and evil overlord of the Nightosphere. 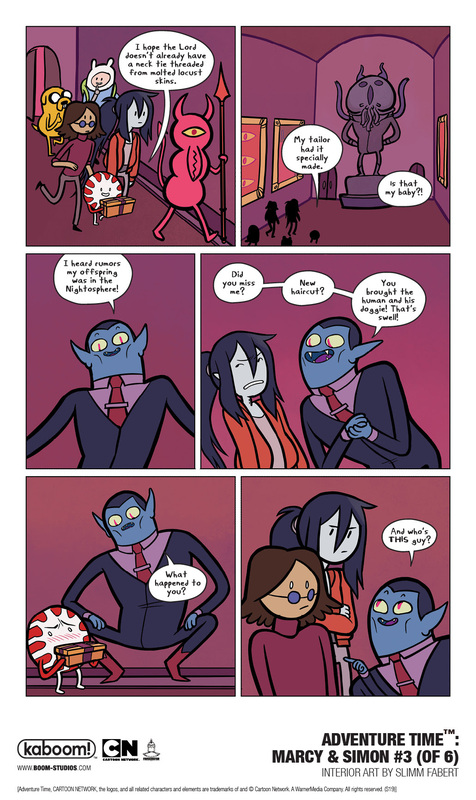 But of course, things get complicated when Marcy confronts her demonic father and asks for help saving Simon: dark magic always has a cost. 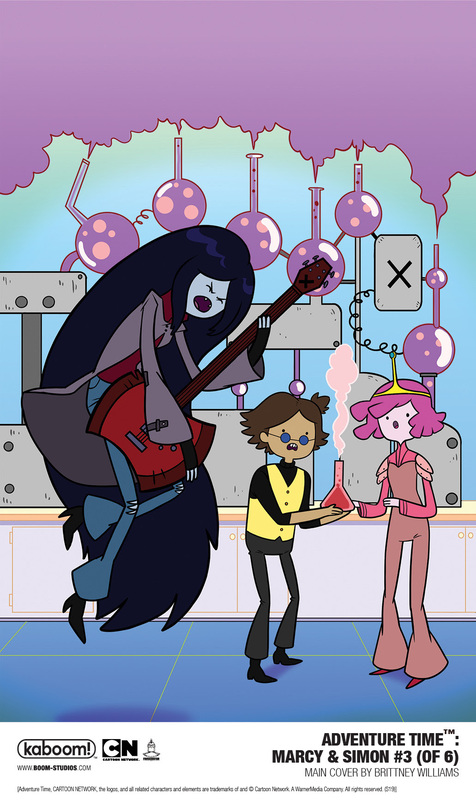 A modern-day fable, the critically-acclaimed Adventure Time™ has become a global success since its premiere in 2010, attracting adult and kid viewers alike over the course of 10 seasons. It follows unlikely heroes Finn and Jake, buddies who traverse the mystical Land of Ooo and encounter its colorful inhabitants. The best of friends, our heroes always find themselves in the middle of heart-pounding escapades. Finn, a silly kid with an awesome hat and Jake, a brassy dog with a big kind heart, depend on each other through thick and thin. Adventure Time™ is created by Pendleton Ward and produced at Cartoon Network Studios. 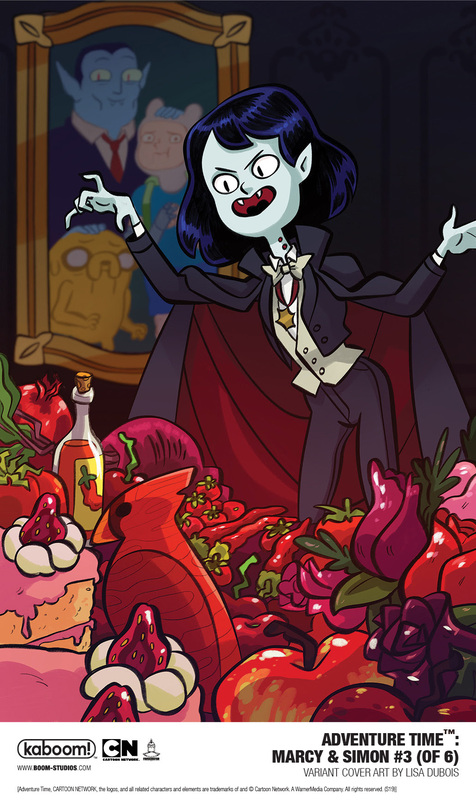 ADVENTURE TIME™: MARCY & SIMON #3 features a main cover by Brittney Williams (Goldie Vance), along with variant covers by artists Lisa DuBois and Danielle Chuatico. 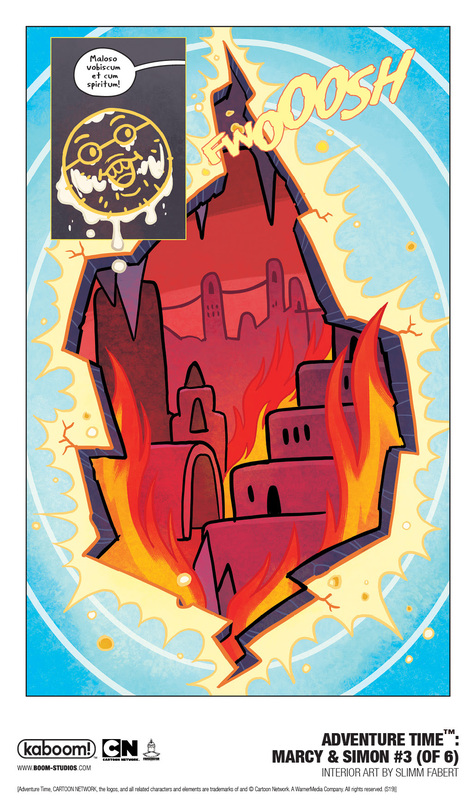 Print copies of ADVENTURE TIME™: MARCY & SIMON #3 will be available on March 20, 2019 at local comic book shops (use comicshoplocator.com to find the nearest one) or at the BOOM! Studios webstore. Digital copies can be purchased from content providers like comiXology, iBooks, Google Play, and the BOOM! Studios app.